We offer a variety of fun classes offered by some of the best instructors around! Our Creative Movement class offers our youngest dancers (ages 3-6) the opportunity to learn basic ballet positions while creating a fun class environment to promote creativity and confidence. Due to the growing popularity of our program, we have added another age group to our class line up! Lyrical mix will be offered to dancers ages 7-10. This class will focus on a blend of Lyrical, HipHop, and Jazz technique. Giving our 7-10-year-old students such a variety will help to build their focus while encouraging them to branch out and try new things. Our Jazz class will be offered to our dancers ages 10+. This class will be focused on technique and flexibility to help sculpt powerful dancers with the motivation to express themselves through performance. 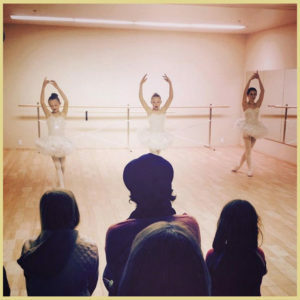 Our Lyrical class will be offered to dancers ages 10+. This class provides the creative expression and freedom our students crave. Basic ballet technique will be combined with contemporary movement to build strong and poised dancers. Our Hip Hop class will be offered to dancers ages 10+. This class focuses on strength, confidence, and attitude while incorporating iconic hip hop moves that students and their parents will love!